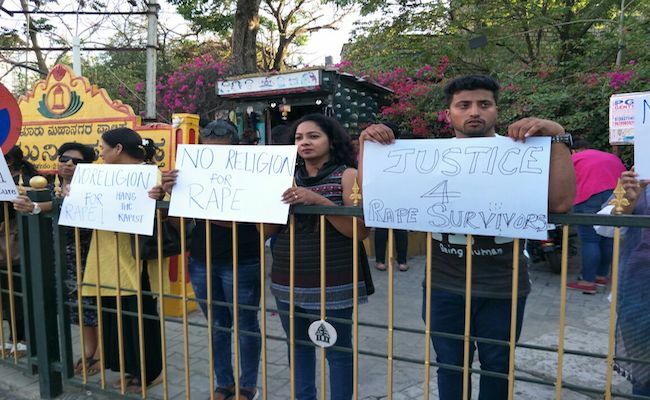 The brutal gangrape and murder of an 8-year-old child from Kathua in Jammu and Kashmir and a 17-year-old girl from Unnao in Uttar Pradesh has pushed the people of the country to protest, and demand that be justice be served. Several groups of people from different cities took to the street to demand justice for these gruesome crimes. The #MyStreetMyProtest campaign is gaining momentum across different states in the country. Congregations of people belonging to different age groups held up banners and placards and raised slogans condemning the heinous acts. Citizens of Bengaluru gathered in several places in the city to show their support for the campaign. Citizens also gathered in Trivandrum, Hyderabad, and Chennai with banners that read "Protect Women", "Death sentence for rapists," etc. 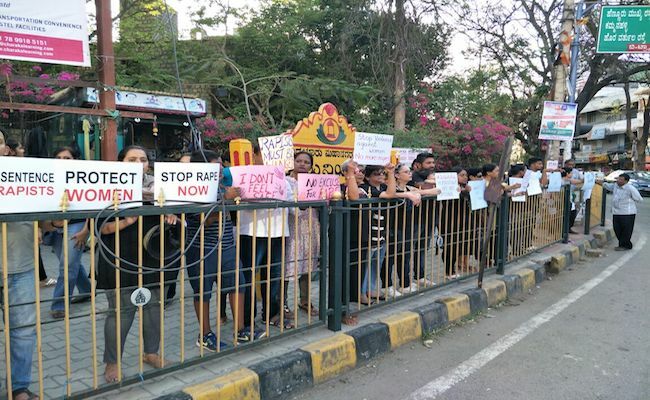 On April 14, over 100 people gathered at Necklace Road in Hyderabad to demand justice. The protest saw the participation of families, activists, students and many more. Here are some of the pictures from the various cities. We stood at the Inorbit Mall corner in Whitefield. Gives me hope that men & women off the streets joined in. This photo communicate many things!